Cargo bikes: What is behind the price tag? If there were a £800 cargo bike with the same specifications than the ones we regularly stock, believe us, we would be selling it! But these are simply yet to be invented and all it comes down to, is the quality of the design. So let’s examine what makes a great cargo bike design. 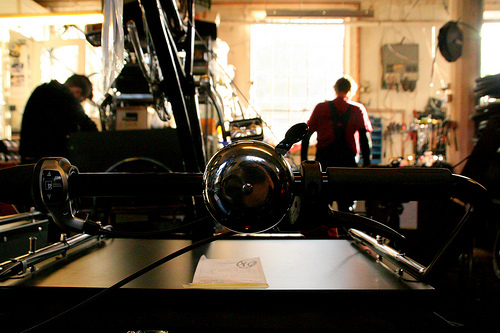 One of the most important element in a cargo bike is its handling. It means the way different parts of the structure relate to each other and how well, as a whole, it rides. There are three contact points between the rider and the bike – saddle, pedals and handlebar – the position of these determines the riding posture which has a great effect on your comfort and handling. How does the bike steer? Where does the weight go when it does? This is especially important for cargo bikes due to the extra weight put on the frame by the ‘box’. Human bodies vary and some of us will feel comfortable riding upright more than others so then it is down to personal preferences and how much body co-ordination we each possess. The first and most important step is finding a bike you are most comfortable riding. All other needs and desires are secondary to your own personal experience and your ability to ride the bike in comfort and with confidence. This is why we always strongly recommend to try them. Handling is something you are truly able to appreciate when trying different models in the ‘flesh’. 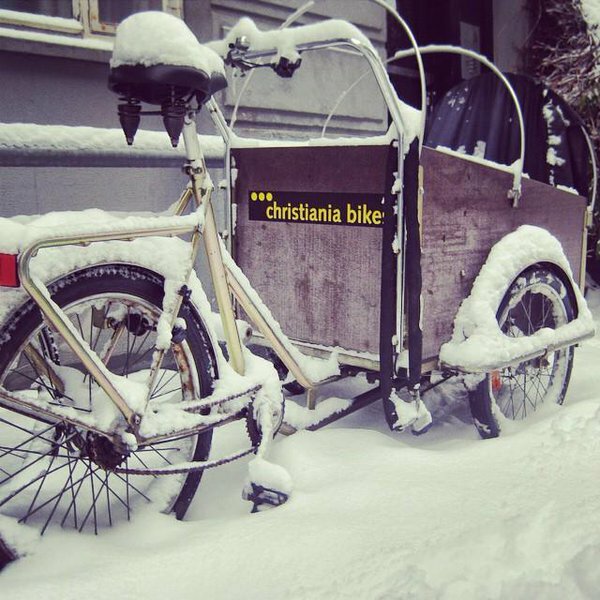 Manufacturers such as Christiania and Bakfiets.nl spent decades perfecting their design. A lot of people find the latter the smoothest ride of all. This is not surprising since the use of ‘box bikes’ (translating as bakfiets) is thought to have originated in Holland. The Dutch, with their long history of making bicycles, built on this experience and successfully achieved, with the Bakfiets.nl for instance, the perfect balance between the seat-post, handle-bar, pedals and wheels which results in a great riding posture and therefore in quite an amazing handling. If the cargo bike is too heavy, it may provide a strong sense of stability when you sit on it but the energy distribution when riding it will be all but lost. The sheer weight of the structure will absorb all your energy, making the ride a real slug and rather unpleasant. Whether you use a cargo bike to ride with your children or to carry goods or both, there will be a time when you need to push it, park it and carry out manoeuvres. These aspects have also been carefully considered by the leading cargo bike manufacturers in order to build a light bike. This is only possible by using high quality materials that have a good weight vs. strength ratio. Such materials which include the type of wood, the frame whether steel or aluminium are expensive but are the core of a bike that will last decades not years. Due to its utility purpose – for a business or a family – a cargo bike is likely to become an inherent part of its owner’s life. Therefore durability is a key factor for anyone looking to acquire one. Durability comes from quality components. From the type of wood used for the box to the quality of the paint and lacquer used on the frame, and not forgetting the quality of tyres and sturdiness of the spokes. All those components need to be of good quality in order to last. The wood used in cargo bikes like Christiania and Bakfiets are marine plywood, mostly used on boats therefore able to withstand the Scandinavian winters for 15-20 years before they need replacing. The frame is welded together from high-quality steel or aluminium before being electroplated, lacquered or powder coated with high-quality paint. The quality of the paint offers resistance to moisture, keeping the rot at bay. The tyres contain Kevlar ensuring better protection against punctures whilst allowing the use of thinner rubber which provides a nicer ride. The spokes need to be sturdy as they play a key role in the weight distribution, again very important in a cargo bike due to the extra load. And then, you have the quality of all the other components such as the gears, the chain, and the brakes. There is a wide range of good standards and some manufacturers such as Babboe Bakfiets offer excellent entry-level components. However as they do not compromise on core materials and therefore the quality of the overall build is still excellent. The growing popularity of e-assist cargo bikes adds another dimension which also need good quality parts. Finally, a good quality cargo bike will keep its value over time and should the time to sell it on come, it won’t be a problem. Demand for high quality second-hand bikes is huge. So, you see, coming up with a good design that works in real situations takes more than just reproducing an existing one and adding a few customer-friendly gadgets on it. Designers, budding inventors all over the world are continuously researching and working on new designs for cargo bikes. Especially now, as we are witnessing these utility bikes coming to an age of wider recognition and growing awareness from the general public here in UK. However, for them too it would have taken years of drawing, designing, testing re-drawing, re-designing and building. Their intention is to build the most beautiful machine and they do it with pride and passion. 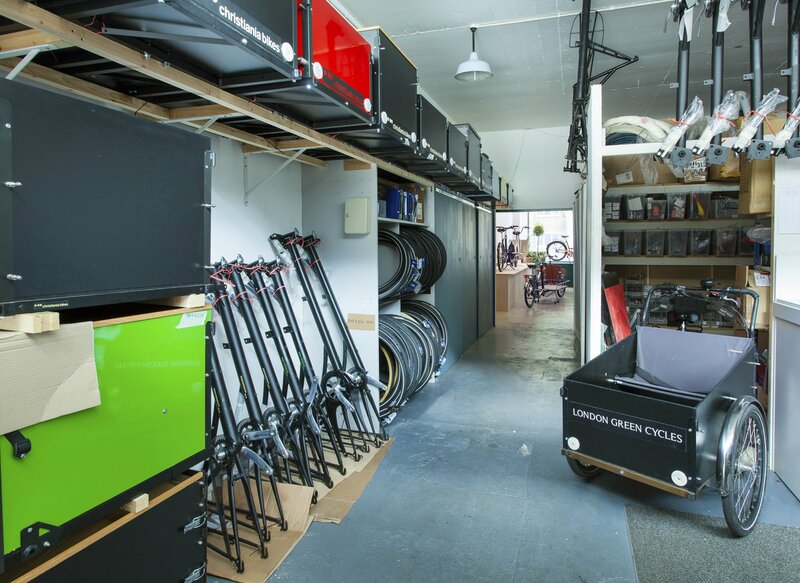 In contrast, manufacturers who produce a cheap copy claiming the features of well-known and respected cargo bike manufacturers have only one aim: create a product that is profitable. At the heart of such bikes are compromises that will affect the durability and the pleasure riding them, so remember that you will get what you pay for.